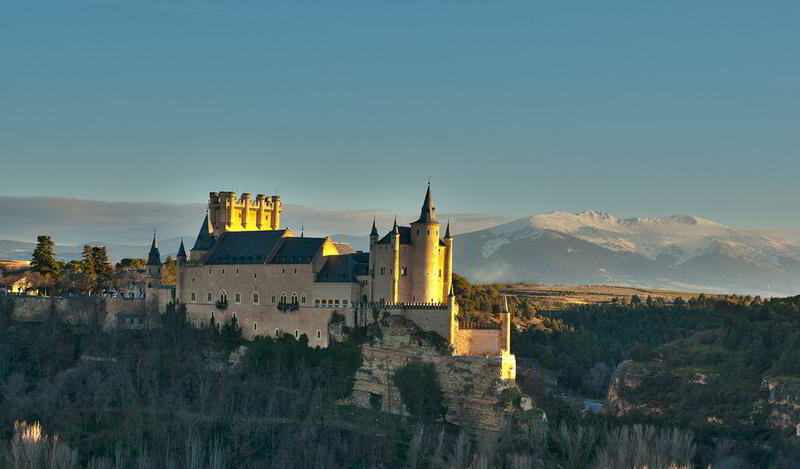 The Alcázar of Segovia is one of the most prominent emblems of this Castilian province along with the Gothic cathedral and the Roman aqueduct. Legend has it that its architectural beauty influenced the logo of Walt Disney. 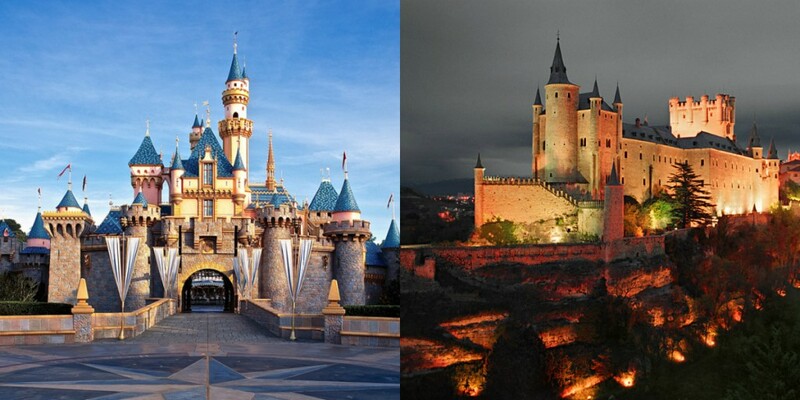 The similarities between the Alcázar (right) and the picturesque Disney castle (left), which are obvious, are not the only attraction of this construction; its history, its own roofs inspired in Nordic castles, the Artillery Museum on its inside and the imposing monumental set in which it is located, are some of its most important assets. The castle is divided into two parts, the outer and inner. In the inside, there is a chapel and eleven noble rooms that can be visited nowadays: Sala del Palacio Viejo, Sala de la Chimenea, Sala del Trono, Sala de la Galera, Sala de las Piñas, Cámara Regia, Sala de Reyes, Sala del Cordón, Sala de Armas, Sala Real del Colegio de Artillería and Sala Vizconde de Altamira y Espera, located around two courtyards: the one of the Reloj and the Patio de Armas. On the outside, there is a moat, a drawbridge, a patio herreriano and the tower Juan II named for the king that was governing during its construction . From this tower, you can enjoy magnificent views of city of Segovia. Far from being a palace out of a fairy tale, the Alcázar of Segovia has been, throughout its history, in the middle of a series of disasters and armed conflicts that have threatened the survival of the original structure. The first news about the existence of the Palace date from the twelfth century. The Spanish-Moorish fortress that was built on an ancient Celtic fort located on a high ground between the Eresma and Clamores rivers, was, during the Middle Ages, the favorite residence of the Castilian monarchs. The first of the conflicts suffered by the structure of the Alcázar was the War of the Communards in the early sixteenth century, in which the villagers took the Cathedral and supporters of the king chose to defend from the Alcázar, resulting is damaged after the confrontation. From that moment, there were many disputes noble forced to remodel the castle, and fire was about to kill it in 1892, two decades after it was declared a National Monument. 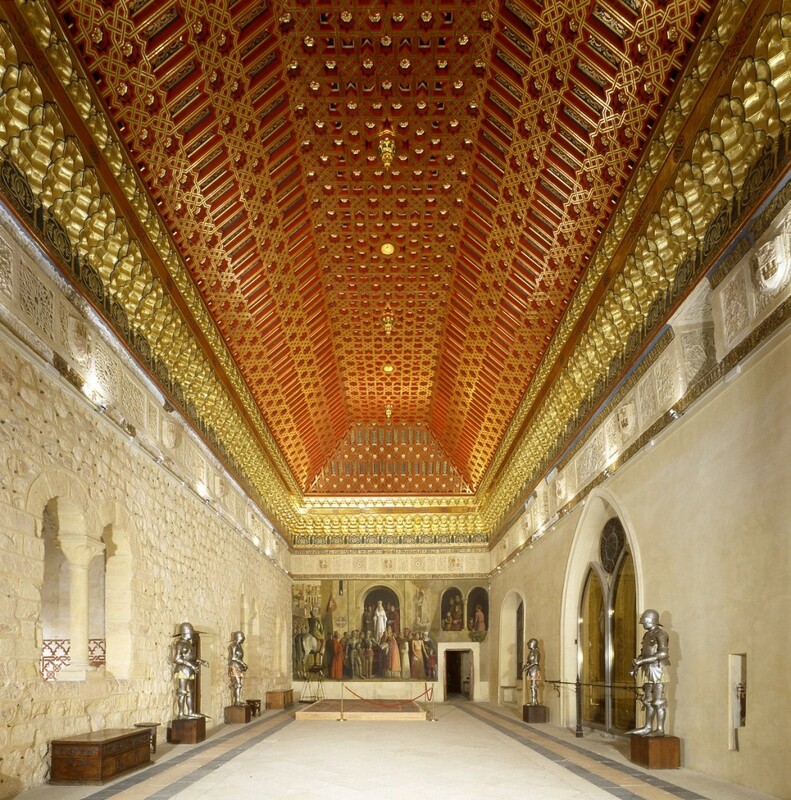 Although the Alcázar is currently used for public exhibitions it was originally built as a fortress and served over the years as a royal palace, a state prison, a center of artillery and a military academy. If you visit Segovia, besides the obligatory visit to the Alcázar, you can not leave without seeing its Roman aqueduct, its Wall whose route begins and ends at the Alcázar and the Cathedral of Santa María, an impressive Gothic style building located on the Plaza Mayor. 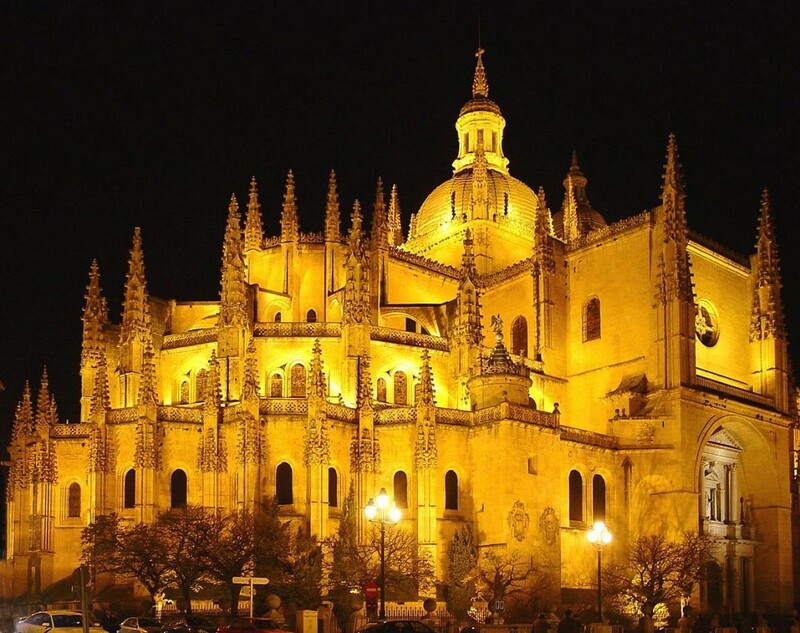 The churches and monasteries of Segovia –the Church of San Martin, Corpus Christi Church, Monastery of San Antonio el Real … – are another of its most popular tourist attractions.